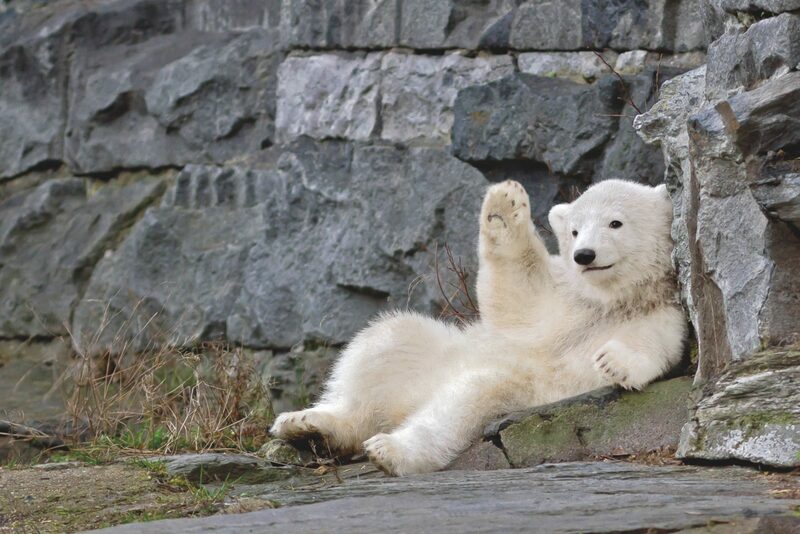 The polar bear cub at the Tierpark, East Berlin’s zoo, has a name: Hertha, just like West Berlin’s football team. Can the cute cub end East-West rivalry? Or at least climate change? 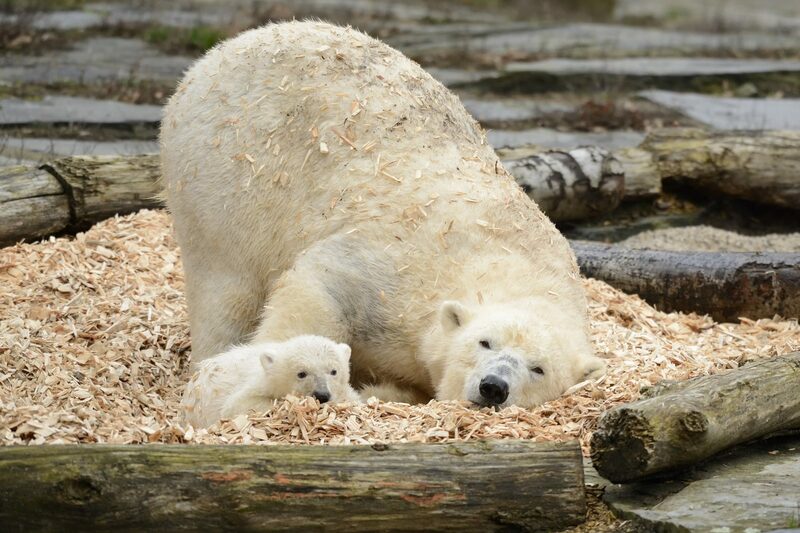 The newborn polar bear at Lichtenberg’s Tierpark, the zoo of East Berlin, has a name, finally – and it’s Hertha. Of all things! This is the name of West Berlin’s football team, after all, Hertha BSC. Lichtenberg and its residents, however, traditionally support FC Union Berlin, the sympathetic and left-leaning football team whose stadium in Köpenick was built by its own fans (and became quite famous on social media during the world cup). Hertha (the bear, not the football team) was born on December 1st last year. 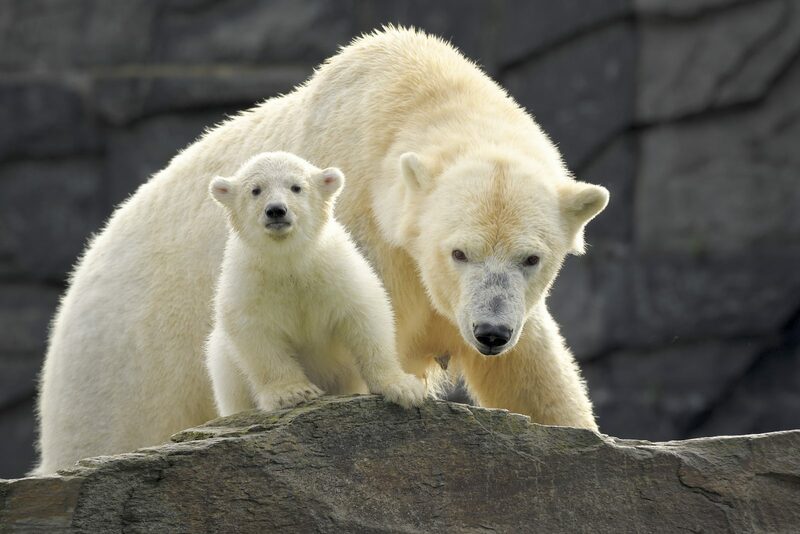 But she wasn’t seen until February, as she spent the first few months of her life with her mum in their den, as polar bears are wont to do. As the mortality rate for their cubs is very high, nobody knew whether she would make it. Zoo keepers and veterinarians have great news, though: the bear is gaining weight, annoying her mum, and is generally happy and healthy, killing Berliners with her cuteness since she emerged in February. Hertha BSC has now adopted the cub for two years, supporting the zoo with the cost of caring for her. The move is also supposed to raise awareness for the plight of polar bears in the light of climate change. And probably also gain some traction with East Berliners – or so we’d like to think at least. Wouldn’t it be great if this little furry ball would make Berliners not only fall in love with her, but with each other and their respective football teams, almost thirty years after unification?